The Board dismissed this petition for cancellation of Roman Atwood's registration for the mark SMILE MORE for various goods (stickers, backpacks, shirts) and for retail store service featuring clothing, denying petitioner's claim that the term fails to function as a mark. The evidence of a very small number of third-party uses for related goods was insufficient to undermine the source-identifying significance of the phrase. Disorderly Kids, LLC. v. Roman Atwood, Cancellation No. 92062027 (November 28, 2018) [not precedential] (Opinion by Judge Peter W. Cataldo). Although Atwood's specimens of use in the underlying application displayed the mark in an ornamental fashion on his goods (e.g., the t-shirt above), his service mark specimens did not. 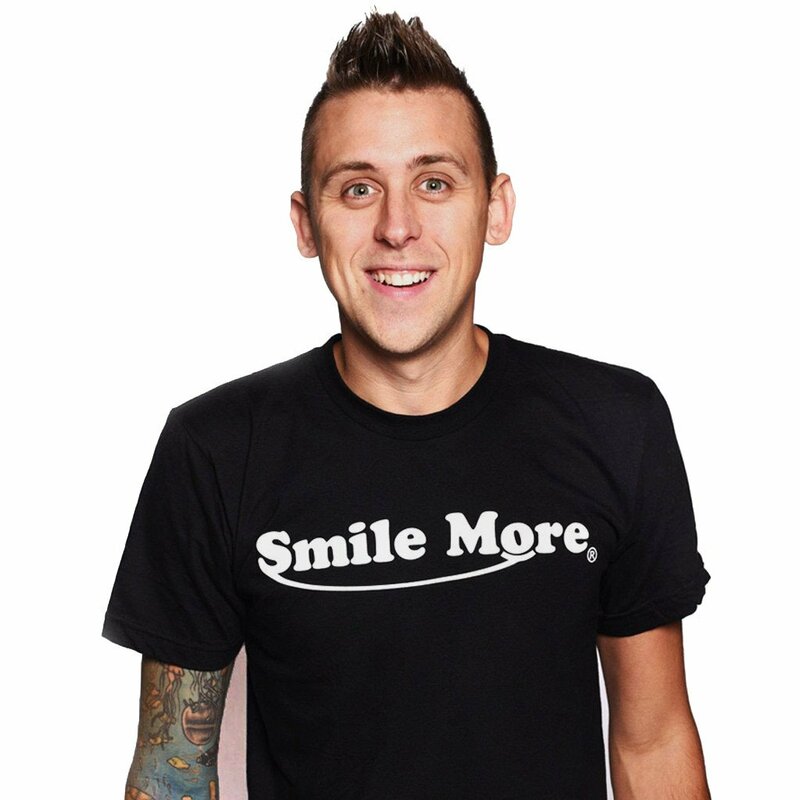 Those specimens showed the SMILE MORE mark used with "The Official Smile More Store" and the "Roman Atwood Pranks" YouTube channel, and "clearly associate the SMILE MORE mark with Respondent." Moreover, as to the goods, the term SMILE MORE "conveys to the public a secondary source, namely, Respondent Roman Atwood, his YouTube channel and the content he posts there, and is registrable on the Principal Register." In re Paramount Pictures Corp., 213 USPQ at 1112 (in this case, wording on a T-shirt “inherently tells the purchasing public the source of the T-shirt, not the source of the manufacturer but the secondary source.”). Petitioner submitted evidence of a "modest number" of third-party uses of the wording "Smile More" and formatives thereof for t-shirts, hats, stickers, and the like. But the record evidence also showed that Atwood "actively and vigorously polices his SMILE MORE mark and views such uses as infringement." Respondent has successfully prevented or stopped such uses by Café Press, Zazzle.com, USCD Apparel and RedBubble, i.e., the very third parties Petitioner relies upon for its assertion of widespread use of “Smile More” in connection with the relevant field of goods and services. The record further establishes that fans of Respondent actively report such uses when they encounter them. In addition, the record reflects that some of the third-party users point to Respondent when advertising their “Smile More” merchandise in an attempt to associate their goods with him. Petitioner pointed to eight registrations of SMILE MORE and SMILE-formative marks for dental services and snack foods, but none related to the goods in Atwood's registration.The Board concluded that this is "not a case in which widespread ornamental use of the phrase SMILE MORE by third parties" may influence how the mark is perceived. "To the contrary, the record evidence . . . supports a finding that SMILE MORE, as used in connection with the goods and services recited in the Registration, serves to indicate a single origin or source, namely Respondent." The Board therefore dismissed the petition for cancellation. TTABlog comment: I suspect that Mr. Atwood is smiling more after this ruling.